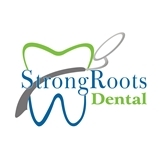 Strong Roots Dental (Hoboken) - Book Appointment Online! Strong Roots Dental, is a multi-speciality dental practice.The clinic Director, Dr.Ramya Narayanan manages and supervises three General Dentists and a Periodontist who offers a wide variety of dental treatments including General, cosmetic, endodontic, oral surgery and periodontal procedures including implants to cater to the dental needs of our patients. The entire staff is pleasant and efficient. Excellent care and bedside manner!